We’re currently working on re-designing our site to bring you the latest products, trends, events and more. 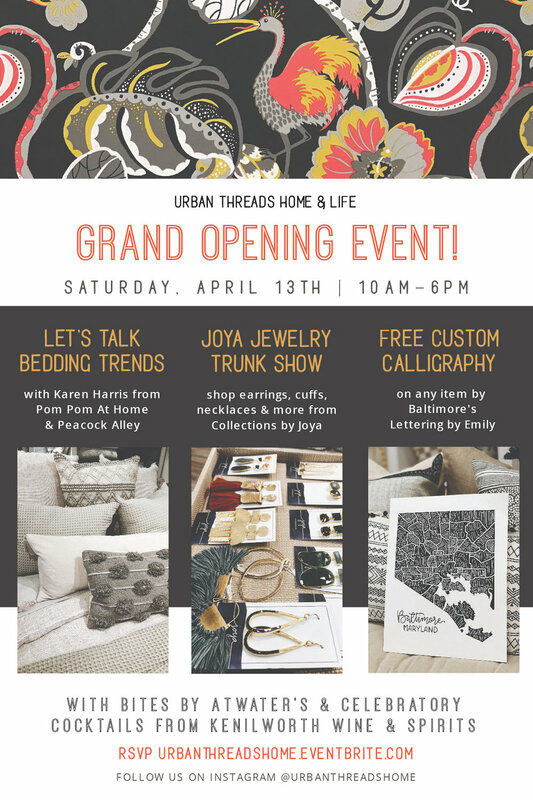 In the meantime, follow us on Instagram @UrbanThreadsHome and sign up for our email to receive up-to-date Urban Threads news sent straight to your inbox. Join us for our free Grand Opening Event April 13th from 10am - 6pm!